If your restaurant is covered with hardwood flooring, wax may be the perfect solution to bring out the natural beauty of your floors. Wax coatings also protect your surfaces from scratches, dents, and other signs of wear. This surfacing technique adds a shine to your floors that can make any room feel cleaner and more inviting. 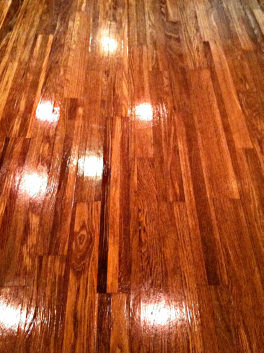 If your floors are waxed or coated with some type of polish, the luster of these products do fade after some time. Dirt, grime, and other blemishes do begin to show up. This is a good indicator of the need of your floors to be stripped and re-waxed. Stripping is a chemical process that removes any chemicals from the floor surface without injuring the floor itself. Stripping also removes dirt build up and is an important step in getting the most out of your clean floors. If you feel that your restaurant could benefit from a strip & wax, give Imperial Solutions a call. We will make sure your floors are properly treated and looking their best. Thinking about remodeling the floors in your restaurant? 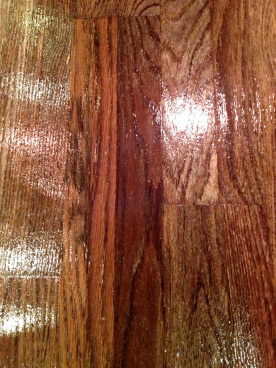 Our strip and wax service restores the wood to its original condition. 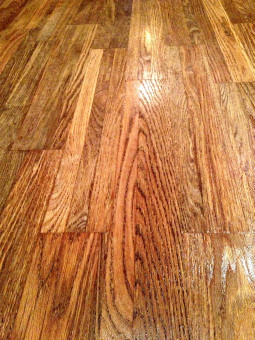 for a FRACTION OF THE COST we can bring your old wood floors to life!